On Saturday I went to soccer at Lord Rutherford Park. They threw the ball up in the air. We had to run up to the ball. We had to kick it into the goal and before that I had to go to kick the ball into the goal with the others. We did some warm ups. There were two other groups. On Saturday I went to the museum with Dad and Mum. I got a poster. It had a shark tooth. I saw a dinosaur. It was a fossil. When we were in the museum someone backed into our car and made a dent. Then we went up to the lake to see how far the snow was down. We didn't come home until eight o'clock. When I got home I had tea and went to bed. I had a good day out with my family. It was the best day in my life. On Friday Aimee was the teacher . She got to mark the roll. The children had to answer the roll with a character from a fairy tale. She chose the people to have news. Nicola got chosen to start. Aimee thought it was fun but hard being the teacher. When our buddy class came down to test our spelling on Friday some of the boys from Room 9 and Room 4 built a massive tower out of cuisenaire rods They worked really well as a team. Keegan on the left and Tane on the right are standing on chairs. The tower fell over before we measured it. Jared's Mum Maree, came to help us make chocolate cookies at Discovery Time. We cooked them in the oven in the hall. There was enough for everyone to have one for morning tea. Wew even gave one to Mr Baldwin and Mrs Stewart. They were delicious. Thank you Maree. Mum found this stick insect on the wood pile. There are about 2500 species of stick insect known around the world. Stick insects eat plant leaves. Yesterday it was my birthday and I got a sword and I got two new transformers and for my cake it was a pirate dagger sword and I got some cars and I got Ramone and some other cars and we went ten pin bowling and it was fun. In the weekend I went to the museum to see the underwater dinosaur I went with Mum, Dad and Ashlee. After I saw Jamie and Sonia. After the museum visit I had lunch. Mum bought two fossils, Micraster Sea Urchin 90 million years old, Cretaceous Spain. Orthoceras, 350 million years old, Morocco. I got lots of stuff. On Sunday my family went to the Queens Gardens. When we got there we saw some ducks, when we crossed the bridge. We went to the Suter for lunch. We had sausage rolls and a melon cake. We saw a water wheel. I knew how it spins around. It is the water pushing the wheel. We played a game. On Thursday my baby brother was born at the hospital in the morning after I went to school. His name is Kane. Mum and Kane came home on Sunday. When we got home he was hungry. 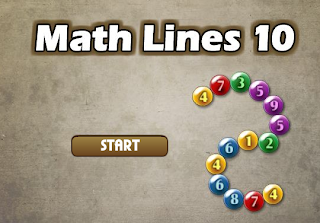 A new game for you to learn facts about 10. Click picture to play.